We provide International moving services to all overseas locations from our network of branch and storage facilities in Auckland, Hamilton, Tauranga, Palmerston North, Hastings/Napier, Wellington, Nelson, Christchurch and Dunedin. Moving overseas can be an exciting but challenging time. Crown has accumulated over 50 years of experience in transporting household items safely worldwide. On a daily basis we continue to develop and refine our standards and techniques to ensure our customers receive the highest quality service. With offices in nearly 60 countries worldwide we are a market leader in the relocations industry, and no matter where you are moving in the world, we can support and assist you. 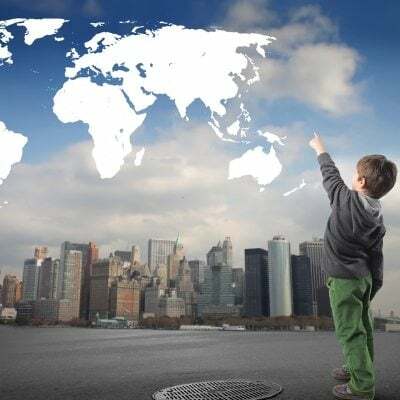 Our outstanding world-wide presence globally means we are not reliant on unknown third party agents and can provide you the same consistent Crown service throughout your international relocation process. For destinations where we do not have an office, we utilise carefully chosen, reputable, service partners who are qualified and equipped to meet our strict quality standards and requirements. Once your shipment is at the destination port we will facilitate all clearances and entry documentation prior to safe delivery to your new home. If you’re not ready to receive your shipment we can arrange storage. We also offer a wide range of other services such as transit protection insurance, free relocation checklist, vehicle and pet relocations. Our customised Relocation Services are designed to minimise the pressure of moving overseas and assist you and your family to settle into your new country. For foreign exchange services at super competitive rates visit our Moving your money page where you’ll see information about our partners at OFX. We cover every part of the country and specialise in international, long distance and local moving. No move is too big and none too small!